Appeared in the local news 20+ times! The mainstream media is so important in helping us carry out our mission and we have positioned ourselves as a “go to” for local news sources to turn to when there is any cannabis related story to report on. Click here to see all of our news appearances this year! Went to Albany for a statewide lobby day with other organizations from around the state, as part of Drug Policy Alliance’s Start SMART campaign, to lobby for the Marihuana Regulation and Taxation Act (MRTA). Our efforts focused on emphasizing the importance of keeping social and racial justice at the forefront of this legislation. Attended Conferences to help grow our activist and leadership skills! 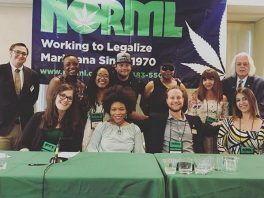 Over the summer we attended the NORML conference in Washington, D.C., where we networked with chapters from across the country, participated in activist training, and lobbied on capitol hill to our congressional legislatures! In the beginning of November we attended the NY Hemp Lab at St. John Fisher College Wegmans School of Pharmacy, which was a day of interdisciplinary conversation, collaborative thought, and networking opportunities. 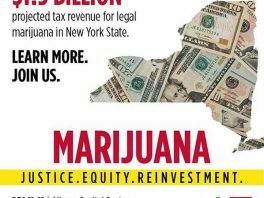 We finished up the year in Albany for two days in December at the Drug Policy Alliance “Marijuana Justice, Equity, and Reinvestment Conference”, exploring how legalization in New York presents a unique and much-needed opportunity to create equity, economic justice, and work to restore communities most damaged by this country’s failed war on drugs. Provided education to hundreds of community members through community meetings and outreach at: the City of Rochester Public Market, concerts, and other events in the community. In the months leading up to the mid-term election, we focused heavily on providing voter registration and education. 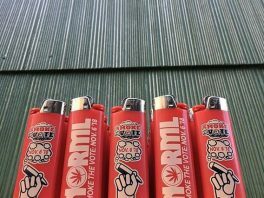 We had over 40 community members join as official Roc NORML members in 2018 and we are excited to see that number grow at least 10.5 times bigger this year ? Invited by members of the New York State Assembly, including the Speaker of the Assembly, Crystal Peoples-Stokes, to testify at a hearing in Buffalo about how we, as cannabis consumer advocates, want to see the legislation written in NY that will shape our adult-use cannabis market. 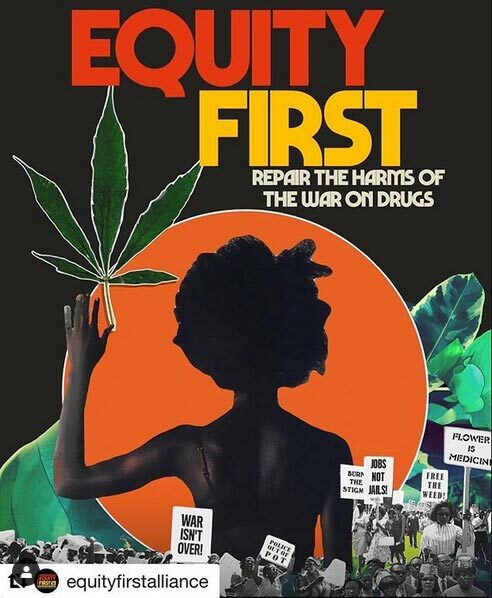 Joined the Drug Policy Alliance Start SMART Campaign and the Equity First Alliance, to show our dedication to keeping social and racial justice in the forefront of the legalization conversation and legislation. Began conversations with Rochester and Monroe County officials who are going to be key players when it comes to drafting regulations around zoning and other issues related to the adult-use market this year. We began attending the Rochester City Council public meetings and are currently in conversations with council members, as well as the Monroe County Public Health Commissioner. While we often focus on the federal and state legislation when legalizing cannabis for adult-use, it is even more crucial to focus on the local City and County governments, as they hold a great amount of power after legalization passes at the state level. Grew our social media following to over 1,800 strong! If you are looking for something you can do RIGHT NOW to help Roc NORML continue to grow, you can go to our Facebook or Instagram, and like, share, and comment on at least one post! Having your support on social media by engaging in our content helps us grow our following even more and continue to get our message out there, so don’t ever underestimate the power of a couple clicks. National NORML Team, Drug Policy Alliance, and the Empire State / Nevada / Las Vegas NORML Chapters – without their guidance, support, and advisement, Roc NORML simply would not be. Our highest gratitude to the folks on those teams who make this organization one of a kind. Most notably, thank you to Maddie Saglibene, Executive Director of both Nevada and Las Vegas NORML, for being a woman with a dream of seeing NORML grow in Rochester, helping our board to plant our roots and grow. Hemp It UP! 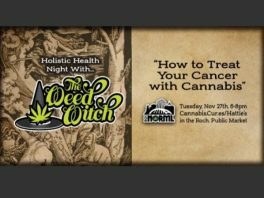 – owner, David Brickman, graciously opened their doors to us for many months to hold our community meetings, and also collected donations for our Roc NORML t-shirts that were (and still are!) displayed in store. Cannabis Cur.es (rebranding soon to Flower City Hemp) – owners, Michael and Kelly Iuliucci, hosted Roc NORML events countless times throughout the year. They offered their prime location at the City of Rochester Public Market for our community meetings, and also as a space for us to provide direct outreach to community members about responsible cannabis consumption. And we can’t forget about the delicious CBD treats and raffle prizes they donated for just about every event we hosted this year. Hettie’s Delites Cafe – owner, Heather Paola, donated her restaurants prime location space, adjacent to Cannabis Cur.es at the City of Rochester Public Market for our community meetings, and worked with Cannabis Cur.es to provide tasty CBD treats. Tiva – owner and board member, Steve VanDeWalle, donated CBD products to raffle throughout the year, helping the chapter raise essential funds to provide direct services back into the community. Mad Hatter’s Hideaway Smoke Shop – owner, Nick Stebbins, donated tons of raffle items for different events we held this year, including a Pax 3 Vaporizer that we raffled off during our “Smoke the Vote” program that was focused on getting cannabis consumers out to the polls for the mid-term election. Lovetro.com – owner, Rev. Samuel, provides all of our eye-catching materials and website, taking our marketing and social media materials to the next level. The volunteers who donated their time and money to help make our chapter; special thanks to: Jason Klimek, our chapter’s legal advisor and sitting member of the NYS Bar Association’s Committee on Cannabis Law; Zachary Sarkis of Flower City Solutions for organizing the NY Hemp Lab and helping us continue to form valuable relationships; Steven Litteer of Dibble & Miller, Attorneys at Law, for donating his time and helping our chapter incorporate and be compliant; and our current Board of Directors: Mary Kruger – Executive Director, Steve VanDeWalle – Deputy Director, and Rev. Samuel – Communications Director, for the countless hours of work and talent donated to the chapter, and for being a voice to represent responsible cannabis consumers in the Rochester area. And everyone else who played a role in the work we were able to get done this year! One of our motto’s at Roc NORML is “team work makes the dream work” – and we can’t thank you all enough, from the bottom of our (green) hearts, for making Roc NORML such a dream team! Come to Roc NORML events to show your support and become an official Roc NORML member. Watch our website, social media pages, and your email for announcements about upcoming events. Here is a preview of some things we have in the works… CBD Yoga, CBD Infused Dinner, Roc NORML Game Night, Roc NORML Movie Night, 4/20 Fundraiser Concert, Volunteer Opportunities with other local non-profits, Educational Events, and so much more! Make sure you’ve taken the NYS survey that is going to directly inform the legislation currently being written that will shape our adult-use cannabis market – don’t wait, you only have until January 15th! Like, comment, and share our social media posts whenever possible – remember, having your support on social media by engaging in our content helps us grow our following even more and continue to get our message out there, so don’t ever underestimate the power of a couple clicks! Sign up now for our statewide lobby day in Albany on March 27th! There will be a rally, a press conference, and the opportunity to meet with your local law makers to inform them about why we need to embrace legalization in our community! Thank you Rochester for an amazing 2018 in helping us build our cannabis community and we are so excited for what’s in store for 2019!